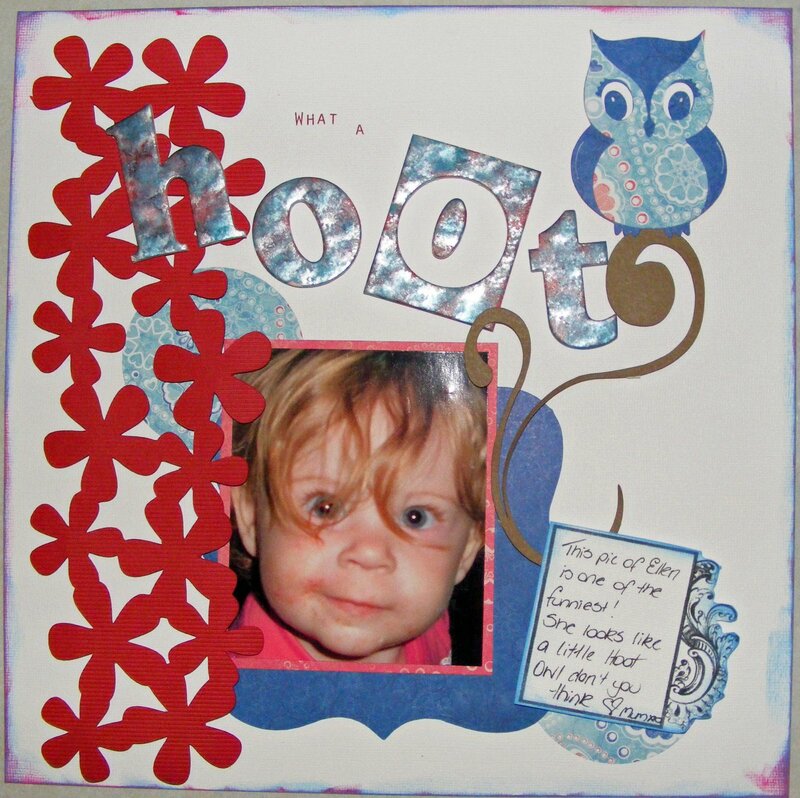 Well I finally got around to actually doing this layout of Miss Ellen, it’s a cracker of a photo that I caught when she was about 1 or 2 years old, she looked like an Owl with the rings of curls around her lil peepers, so thought it was only fitting to scrap it with a cute hoot owl. The svg pattern for this has already been listed on here for you, see previous post re the Owl. Anyway, I had a bit of fun with alcohol inks and chipboard to get the “HOOT” title done, man o man, I just lurve playing with that stuff 🙂 It’s soooooooo much fun. This entry was posted on February 20, 2009 at 12:03 pm and is filed under Uncategorized. You can follow any responses to this entry through the RSS 2.0 feed. You can leave a response, or trackback from your own site. Cute layout Kris..thank you for the Owl files! Take care.